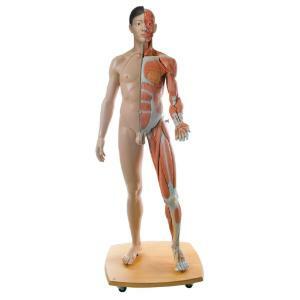 This life-size, high-quality muscular figure represents a wide variety of human anatomical structures in most accurate detail. The muscular figure is therefore especially suitable for the high demands of medical school. The right half of the muscle model shows the skin, the left half the superficial and more profound muscles with nerves, vessels and bony structures. The versatility of this muscle figure, which is also aesthetically designed, is rounded off by the accurate representation of the internal organs. The muscle figure includes the 3B ANATOMYtrainer™ and 3B MUSCLEtrainer™ study programs on CD-ROM and a CD-ROM with illustrations and descriptions of the individual structures in L/G/E/F/S/P/J. 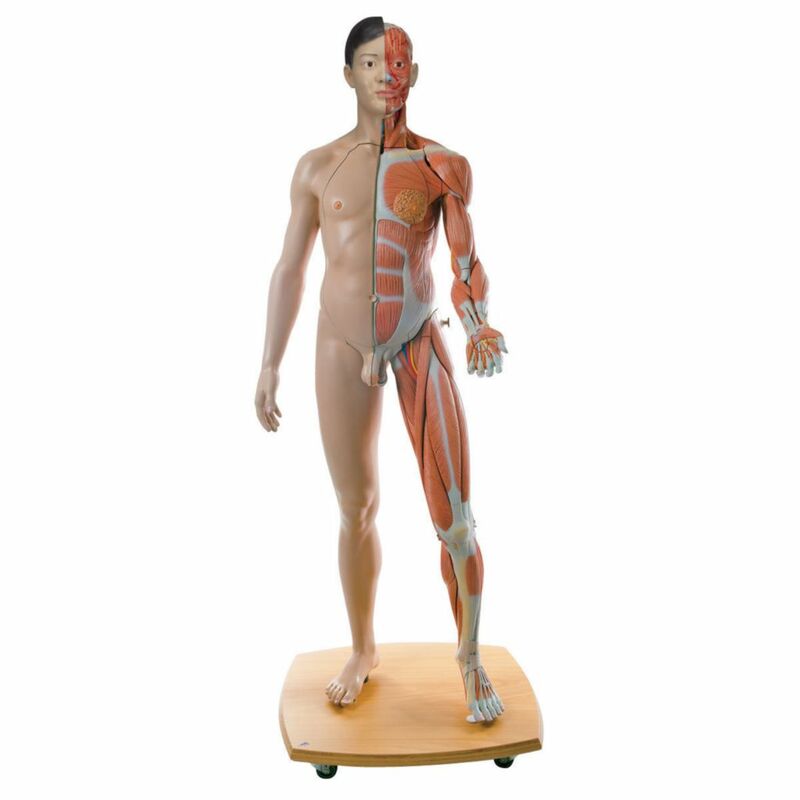 Muscle figure supplied with wooden roller base and assembly instructions.